SMPTE will elevate 12 industry leaders to the status of SMPTE fellow. This honor is conferred on individuals who have, through their proficiency and contributions to the industry, attained an outstanding rank among members of the society. The new SMPTE fellows will be honored at the SMPTE 2017 Annual Technical Conference & Exhibition (SMPTE 2017) at the Hollywood and Highland Center in Los Angeles in October. Daniel G. Baker was one of the key architects for the Tek 1700 Series Waveform Monitors as well as the digital signal and eye-pattern processing in Tektronix's WFM Series Serial-Digital Waveform Monitor products. In 1999, Baker received the Howard Vollum Award, Tektronix's highest engineering award, and became a Tektronix fellow. He is a longtime member of both SMPTE and IEEE, providing technical support for numerous video standards including DVB and EBU. Baker is a co-author of two papers published in the SMPTE Motion Imaging Journal and has more than 40 patents in video signal and image processing, with several more pending. He is currently working on new high dynamic range (HDR) and wide color gamut (WCG) imaging measurement methods, as well as a no-reference (NR) video quality measurement. Baker has Bachelor's and Master's degrees in electrical engineering, with current academic studies in advanced digital signal processing and machine learning applied to image processing. David George Brooks has spent 40 years working on imaging for consumer electronics and professional broadcast, including managing the research programs for Snell (now SAM) in the U.K. and Thomson (now Technicolor) in France and Germany. He has led projects ranging from the design of the first HD MPEG-2 chipset to the algorithms behind the Alchemist HD standards converter. Brooks has played an active role in standards from the early 1980s, beginning with the 8mm camcorder, then moving to the EU 1250/50 HDMAC HDTV standard, the SMPTE/EBU Task Force and its numerous resulting SMPTE standards, and the Ultra HD HDR Blu-ray format, and now the HDR standards currently in development with organizations that include the ITU-R, SMPTE, ATSC, DVB, and ARIB. Since joining Dolby in 2009, Brooks has concentrated on HDR system definition for both postproduction and live content, from capture and creation to consumer display, while always ensuring that artistic intent is maintained throughout the ecosystem. Jean-Pierre Evain joined the EBU's technology department in 1992 following six years in the research and development laboratories of France-Telecom (CCETT) and Deutsche Telekom. He has worked on set-top box middleware, such as the digital video broadcasting (DVB) specifications of Multimedia Home Platform (MHP) and copy protection signaling, and chaired metadata activities for the TV-Anytime consortium that actively maintains specifications on behalf of the European Telecommunications Standards Institute (ETSI). With an initial focus on microwaves, Evain now manages EBU activities such as metadata for news, production, and sports. He is the co-author of several key EBU metadata specifications, as well as specifications for AES, IPTC, MPEG, SMPTE, and W3C. For the past decade, Evain has been promoting the use of semantic technologies and service-oriented architectures (SOAs), including the Framework for Interoperable Media Services (FIMS) in the broadcasting industry. Evain is a graduate of École Nationale Supérieure de l'Électronique et de ses Applications (ENSEA). David Leitner is an active director, producer, writer, speaker, industry consultant, and Emmy-nominated director of photography (Chuck Close: "Portrait in Progress") with 80+ credits in feature-length dramas and documentaries, including eight Sundance Film Festival premieres. Leitner co-produced the Academy Award-nominated documentary "For All Mankind," for which he spent nine months at NASA's Johnson Space Center restoring 16mm lunar footage. He also has photographed hourlong documentaries on iconic writers, artists, and architects for New York's Checkerboard Film Foundation. In his role as director of new technology at DuArt Film & Video in New York, he innovated optical printing, camera lens testing, and film-to-tape transfer and played a key role in introducing Super 16 to the U.S. Leitner also served as senior contributing editor at "Millimeter" magazine and remains an ongoing contributor to the textbook classic, "The Filmmaker's Handbook." He has served on the board of managers of the SMPTE New York Section. David Long is also this year's recipient of the SMPTE Journal Certificate of Merit. He joined the faculty of the School of Film and Animation at Rochester Institute of Technology (RIT) in 2007 and is currently program chair and associate professor for the Motion Picture Science bachelor's program. His research interests include engineering multispectral video capture/display systems and studying variability in human color vision for artistic applications. Previously, Long was development engineer and imaging scientist for Eastman Kodak's Entertainment Imaging Division. He has earned numerous patents and a 2008 Scientific and Technical Academy Award for contributions made to the design of Vision2 films. Long is secretary/treasurer and past chair of the Rochester Section of SMPTE and a member of the Digital Cinema Society (DCS). He holds a Bachelor's degree from the University of Texas at Austin, a master's degree from the University of Rochester, and a doctorate in color science from RIT. Charles S. Meyer is responsible for advanced technology development for live production and networking products. He began his technology career in 1979 at Atari, working at the company's research and development laboratory, code-named Cyan Engineering. Meyer went on to become president and CEO of NVision, where he pioneered the development of high-definition television routing and distribution equipment, as well as digital audio technologies over a span of 22 years. Meyer has more than 28 patents, including techniques for digital audio, HDTV, and fiber-optic signal timing and transmission. He has worked in various roles, including engineering, technical management, and strategic marketing at the executive level. Meyer has focused on the objective of providing technical leadership during the transition of the broadcast industry to IP, with an emphasis on data transport and clock-recovery technologies. He also has an extensive background in integrated circuit (IC) and CPU design. With more than 25 years of experience in postproduction, Arjun Ramamurthy is responsible for outlining and defining the next-generation workflow and technology utilized for feature and TV postproduction, digital content processing and downstream distribution, and digital archiving at Twentieth Century Fox. He served previously with Deluxe's EFILM facility and, before that, in technical operations and feature animation at Warner Bros. Ramamurthy is an active member of SMPTE, the Hollywood Professional Association (HPA), and IEEE, as well as an active contributor to the Digital Cinema Initiatives (DCI) effort, Academy of Motion Picture Arts and Sciences' (AMPAS), Academy Color Encoding System (ACES), and various standards for SMPTE. He holds several patents in the areas of digital image processing and media postproduction. Bill Redmann is a creative technologist and inventor who has designed social, interactive, and new media technologies for Technicolor, where he is a fellow and senior software engineer. His experience includes virtual reality (VR), telepresence systems, entertainment simulators, theme park attractions, holography, other 3D techniques, seminal wearables technology, and puzzle design for the alternate reality games "The Beast" and "I Love Bees." Outside of Technicolor, Redmann dabbles in electric vehicle infrastructure and driver safety systems. He has been granted some 50 patents, is an active member of SMPTE, and has a Master's degree in engineering from the University of California, Los Angeles (UCLA). Edward Reuss specializes in video, audio, and Wi-Fi networks, particularly for very low-latency applications. After earning his Master's degree in electrical engineering from Colorado State University, Reuss worked in test and measurement at Hewlett Packard (now Keysight), Tektronix, and Wavetek. He switched to television on the General Instrument Eurocypher project for British Satellite Broadcasting (BSB). Later, Reuss became director of systems engineering for Tiernan Communications, developing real-time MPEG-2 video encoders for satellite news gathering and HDTV. He also served as senior systems engineer for Doppler Labs, developing advanced programmable earbuds providing user-controlled DSP filters for changing the way users hear the world around them. Recently, Reuss has consulted for GoPro, Intel, Clair Global, TiVo, Comcast, and Socionext. He is a co-chair of the SMPTE Technical Committee for Coding of Essence (TC-10E). Reuss is also a senior member of the IEEE and is involved with the IEEE 802.11 Wireless LAN Working Group. Peter Storer Jr. was born into broadcasting: both his father, Peter Storer Sr. and grandfather, George B. Storer, were major players in the industry. After attending Harvard College, Storer began his career in the network sales department of CBS. In 1986, he founded his broadcast software firm, StorerTV, which was sold to SintecMedia in 2012, at which time Storer joined SMPTE Fellow Chris Lennon to launch MediAnswers. During the 25 years that he ran StorerTV, Storer worked with hundreds of broadcast and cable clients, including CBS, ABC/Disney, Comcast, Univision, Corus Entertainment, and TV Global. With Lennon, he helped to create the Broadcast eXchange Format (BXF) and continues as its primary document editor. He has also been active in industry organizations such as SMPTE, the Advanced Television Systems Committee (ATSC), and the National Association of Broadcasters (NAB). Storer is the chairman of the George B. Storer Foundation and a board member and IT chair of the Cirrus Owners and Pilots Association. Peter Weitzel joined the BBC Studio Capital Projects Department in 1978, serving in the projects function for most of his career and, in that role, mentoring more than 250 trainees. Weitzel installed the first GVG 300 PAL switcher and a complex multistage, software-controlled vision system for BBC Sport. In 1989, he managed the team that completely replaced the BBC's television core infrastructure with his common architecture design. He led the EBU team that standardized Teletext and defined the first EPG and DVB subtitles within ETSI, and he also led European work on audio and video description that specified an object audio signal system for digital television. By 2000, Weitzel had become a recognized expert for various commercial broadcast projects worldwide. In 2003, he introduced audio and video over IP over standard IT wide area network (WAN) to the BBC, and in 2008, he served as the project director for the first international transmission of NHK Super Hi-Vision in cooperation with the BBC. In 2012, Weitzel became the secretary/treasurer of the newly reformed SMPTE U.K. Section and supported it to become the third largest SMPTE Section. Leigh Whitcomb joined Imagine Communications in 1991. He participates in the SMPTE Standards Community, as well as the Video Services Forum (VSF), and the Alliance for IP Media Solutions (AIMS) committees, including active involvement on the SMPTE ST 2110 committee for Professional Media Over Managed IP, the SMPTE ST 2022 family of standards, and SMPTE ST 2059 Genlock Over IP. 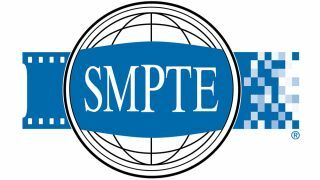 Whitcomb is the chair of the SMPTE Toronto Section. His other professional affiliations include IEEE and Professional Engineers Ontario (PEO). Whitcomb holds a Bachelor's degree in computer engineering from the University of Waterloo and a Master's degree in electrical and computer engineering from the University of Toronto. He is the co-inventor of several patented technologies in the area of timing and synchronization. The new SMPTE Fellows will be elevated formally on Tuesday, October 24, during the Fellows Luncheon at SMPTE 2017. Fellows also will be recognized at the SMPTE Annual Awards Gala on Thursday, October 26, at the Loews Hollywood Hotel's Hollywood Ballroom. The Fellows Luncheon is open exclusively to SMPTE Fellows and Life Fellows, and SMPTE Fellows wishing to attend must select this ticket option when submitting their SMPTE 2017 conference registration. Tickets for both the Fellows Luncheon and the Annual Awards Gala are very limited.